Looks like it's blogger day for me today. Here comes one more article scheduled 2-3 weeks ago. It's going to be one more experiment with article format. Let's split it to theoretic part and practical howto. Clout may refer to political or social power. In social science and politics, power is the ability to influence the behavior of people according to Wikipedia. 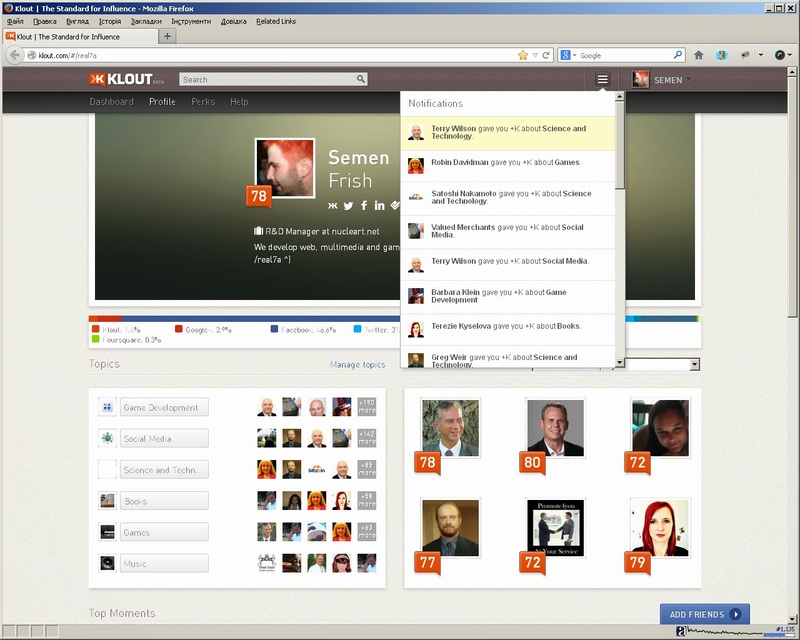 Klout is one of online services that implements measurement for this value. 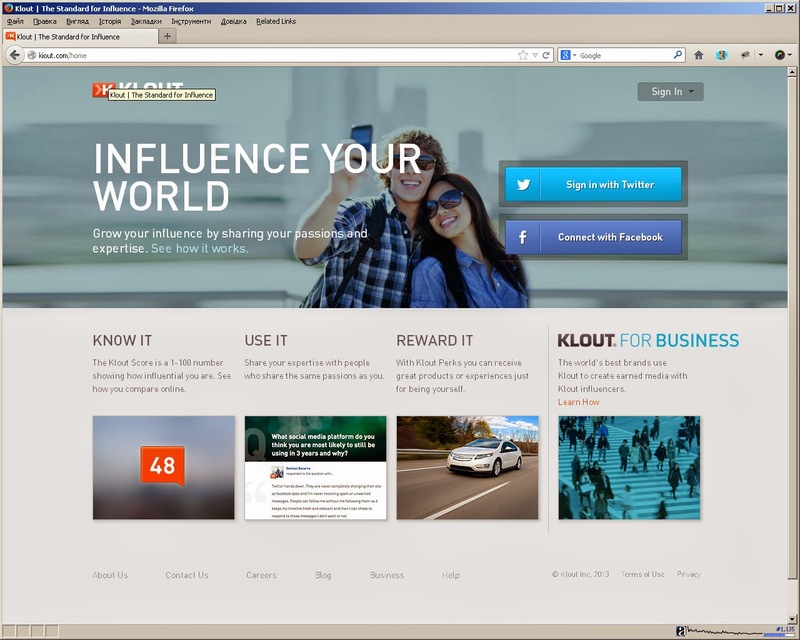 Klout measures influence of itself Twitter, Facebook, Google Plus, LinkedIn, Instagram and Foursquare and several more. it gives me ~37% of my score of 78 of 100. Score is weightened. I guess it's kind of weighted average but not sure, can dig deeper is anybody interested in. It means that not every follower or mention weights the same, more score of twitter account that interacts with You more influence, more Klout. Also types of actions are weighted but let's review it on example of Empire Avenue next time. It's much more trivial here. You recieve 5,10,20 and maybe more +Ks every day and can't award it to people in topics You consider they are influenced in. My main topics are Game Development, Science and Technology, Books, Games and Music. 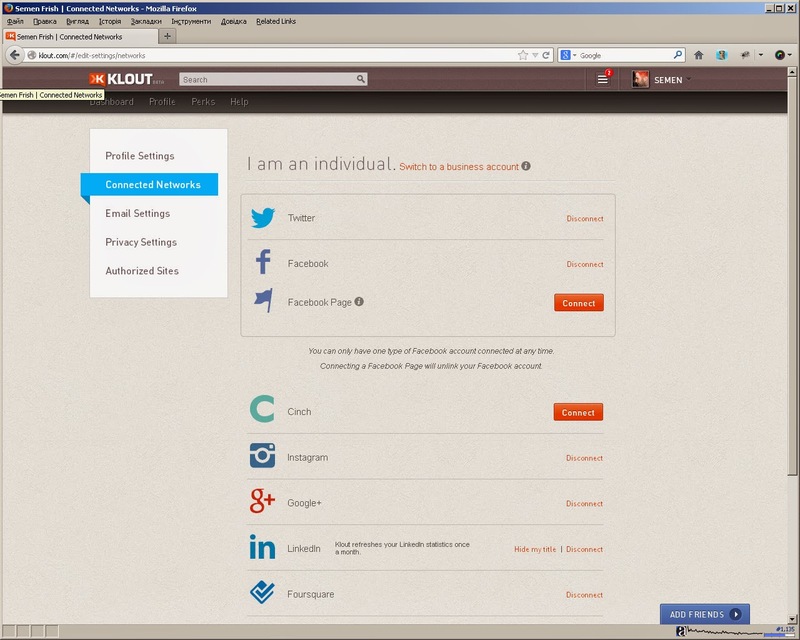 You can add topics You guess person is influenced in for 5 +Ks or let others do it for You. Also You can manage Your topics. Looks like that's all about the tool (service). There are lots of tectonics how to boost Your influence on every network. I'll describe several tips and tricks in articles on each one. The next article after Empire Avenue is about Facebook and it's media technologys. The real influence is art or magic or even something else that depends on You or Your brands personality. 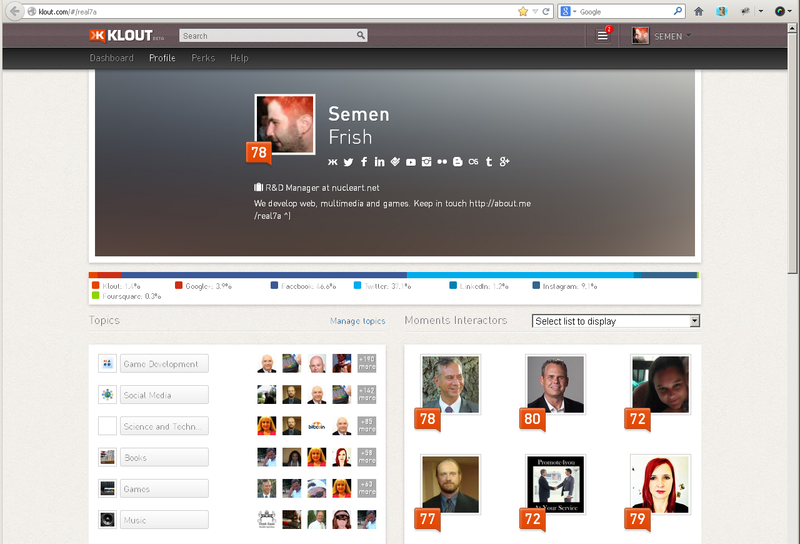 Thank you for your insight into klout.